The retail business is like a sport—a constant competition with clear statistics. 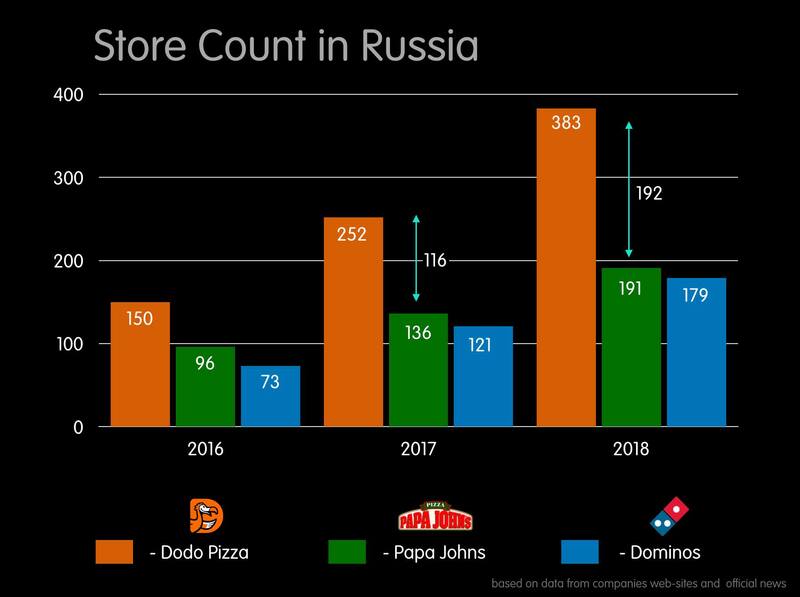 In 2018, we widened the gap between ourselves and our closest competitors in terms of store count in Russia. Now the question is if Papa John’s will keep second place or lose it to Domino’s in 2019.